I have been running websites since 1998 and have received numerous offers to make my websites rank top in the search results for any keyword I choose. I usually ignore such emails since I don't want to waste any time dealing with such fake companies. Another interesting email I often come across is, "SEO for as low as Rs 999 (US$ 15) per month". Just out of curiosity, I sometimes look into the details of what they offer at such low prices. Some of those companies are genuine and they offer just the basic Facebook Page monitoring at that price. If the company is telling you outright about what you are going to get is nothing more than what you pay for, that's fair enough. Some other companies charge very high amount, starting from US$ 2,000 per month and goes up to US$10,000 per month. Remember that this is just the consulting or service fees and doesn't include the cost for advertising using Google AdWords or other medium. There may be cases where such high cost for digital marketing can be justified but most companies wouldn't need to go for such expensive search engine optimization. 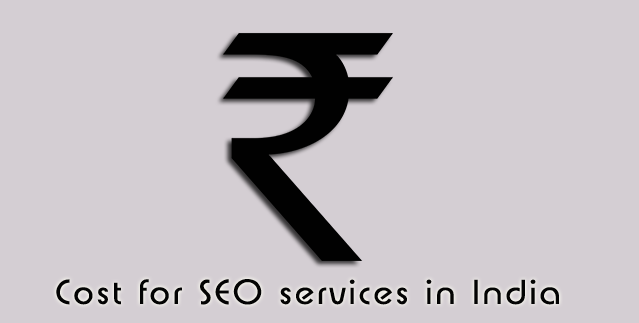 SEO Professor has been offering SEO services from India, serving clients in India and abroad. Whether you are from India or abroad, we try to offer the same quality of services at the same rates. The rate depends heavily on the competition in your niche and the nature of your business. If you are competing only in local markets and don't have too many competitors, then our efforts are relatively easy and we can achieve the results at a relatively low cost. The rates mentioned here are for general purpose only and can vary significantly on case to case basis. This is a one time payment and the package includes a comprehensive audit of your website with primary focus on optimization opportunities. You will be provided with a detailed audit report that includes current optimization status, opportunities to improve, list of changes required to take advantage of potential opportunities, competition analysis, strategic planning for improving business opportunities, best SEO strategies for better ROI and more. You may choose only this one time site audit package without ongoing subscription of our services. At the end of the audit, we will give you the detailed report, which can be handed over to your own SEO team to implement our recommendations. If you choose to implement our recommendations using your own SEO team or another company, we will cooperate with you and guide you until the recommendations are implemented. We offer ongoing SEO services for limited number of clients. Before we jump into this, we would evaluate the current status of the website, the market competition and your budget for digital marketing. Sometime, it may not be feasible for a small company to compete with the global brands due to budget constraints. Sometimes, the search results will be overshadowed by Ads from big brands and it may not fetch any good results no matter how well they rank in the search results. So, after analyzing the business goals and budget, we would advice how to proceed. It's really hard to give a generalized cost sheet here since each business is different and the cost can vary very significantly depending on your market situation. Just to give a ballpark figure - our SEO rates start from US$150 per month. There are clients whom we charge US$1,000 per month and they are really happy with the results. Please contact us for a free site audit and proposal to help you improve ROI from your business. Isn't that very expensive? I have got few quotes from some SEO companies in India which offer me first page ranking guarantee at a cost of Rs 1,000 per month. Are they genuine companies? Can I go with them?